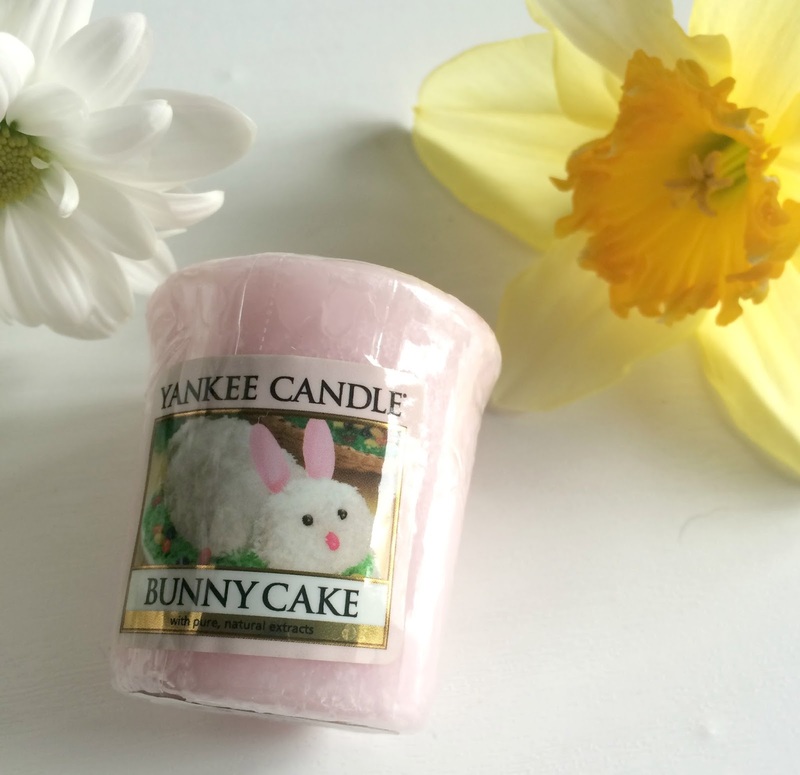 Today I have a little candle review for you, I haven't done one of these lately, so thought as we are supposedly entering Spring and are nearing Easter I would share my thoughts on Bunny Cake one of Yankee candles Easter scents. I actually got this in a gift set containing three votive's, and a little container to burn them in , in the pack I got Vanilla cupcake, Jelly beans and Bunny cake and that's what I will be telling you about today. I absolutely adore this set the packaging is so cute and very nice as an Easter gift for a Yankee lover. Now Bunny cake is a gorgeous pink candle of lovelyness that smells delicious, now I love my sweet scents so adore this sugary, coconut scent with hints of vanilla its just a perfect Spring time scent that's sweet but not over powering and soon fills your room with fragrance, I burned mine i'n my bedroom and the scent carried around my whole upstairs. Yankee claim each votive carries 15 hours of fragrance and I would say that was true I find the votive's a good value way of trying new scents. Have you tried any new yankee candles lately? what are your favourite scents? Ahh these look and sound lovely and perfect for Easter! Oh my I LOVE Yankee Candles! My all time favourite one has to be Vanilla Frosting, it's so delicious! These special Easter/Spring designs are absolutely stunning! The pink Bunnycake is so cute! 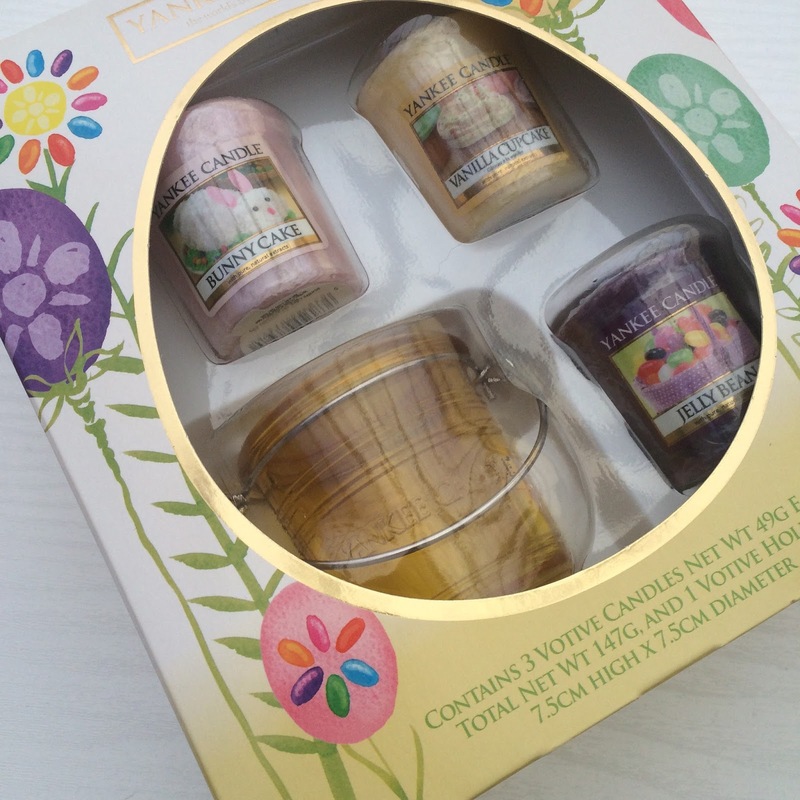 Lovely post, I really want to try Bunny Cake & Jelly Beans, they sound so yummy!